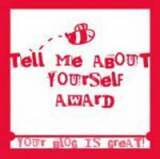 I am SO excited to be nominated for the Tell Me About Yourself Award. A big “thank you” to discoveranddevour for the nomination! If you have not visited this site, you really must! Not only is the writing smart and entertaining, but Oster’s Mom is truly a generous soul. 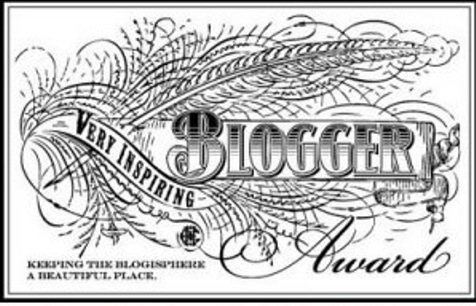 Being new to the blogging world, she has gladly answered my questions and has served as a “cyber-mentor” and I hope she knows, how this nomination made me smile! 1. Thank the person that nominated you and provide a link to their blog. 2. Tell 7 things that most people may not know about you…yet. 1. Someday, I want us to live a “simplified” life in a cottage or lake house. 2. I hate to hear my son cry! 3. I can go up an escalator, but I am terrified to go down! 4. I like the idea of baking and gardening, far more than the actual acts. 5. Once, a squirrel landed in my plate of nachos…honest! 6. I dream of being a published author…both children’s books and books for parents/teachers of 2e children. 7. I am a much better teacher, since becoming a mother! What an honor! Thank you for nominating me! Congrats and thanks for the nomination!!! To have had over 3,000 hits in less than 2 months is tremendous. I think it is your writing from the heart that speaks to your readers. Keep up the good work.